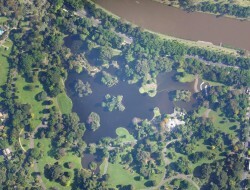 The Royal Botanic Gardens, Lake, Wetlands Project provided an evolutionary step forward in the sustainable design of Melbourne’s water systems. 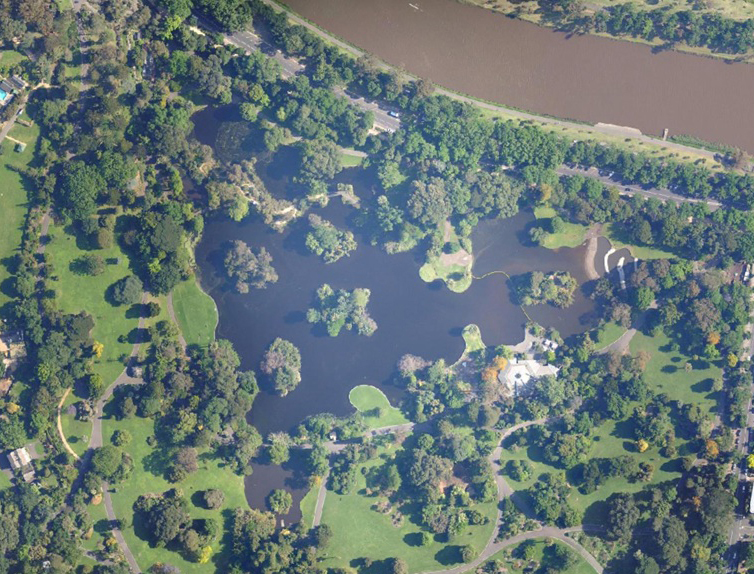 Fisher and Fisher provided a multi pronged approach to both reduce the salt and nutrient levels and subsequent Algal bloom problems in the gardens ornamental lake and integrated a system whereby additional irrigation water was sourced to reduce potable water usage. 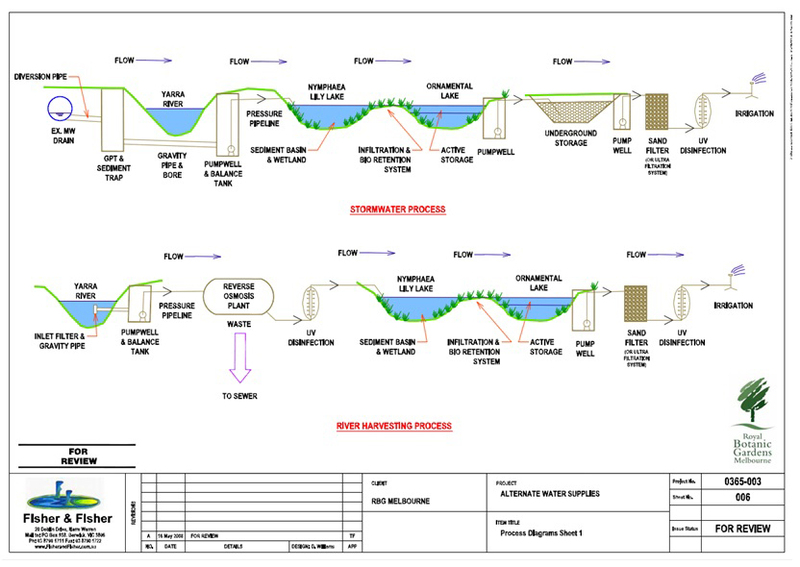 The general approach adopted was to introduce more water to the system by harvesting nearby urban catchments, encourage uptake of the phosphorus through plants, including epilithic algae on various substrate, re-circulation of Lake water through wetland zones within the water body, and remove algal cells by filtration and also predation by aquatic fauna. Also included was an option to increase shade over the Lake by Lily coverage in selected areas, tree cover along some areas and increase the wetland zones along the Lake edge in selected areas. 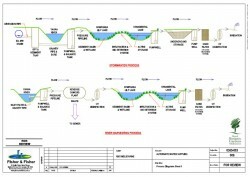 A critical part of the state of the art strategy was to re-circulate the Lake water through wetlands within the Long Island Backwater, Central Lake and Nymphea Lily Lake and habitat systems placed within the main body of the Ornamental Lake. The purpose was to move the water to improve dissolved Oxygen levels, improve mixing and most importantly to remove nutrients and reduce potential for algal blooms. The three wetland zones were to be designed to remove nutrients and harvest some algal cells during each cycle. Obstruction of light within specific zones of the wetlands was also proposed to encourage algal cells to settle as well as high density habitat for zooplankton and micro-invertebrates to increase predation on algal cells.